How do snapshots in the HNAS file server work? 165. I cannot read my USB-drive. What do I do? 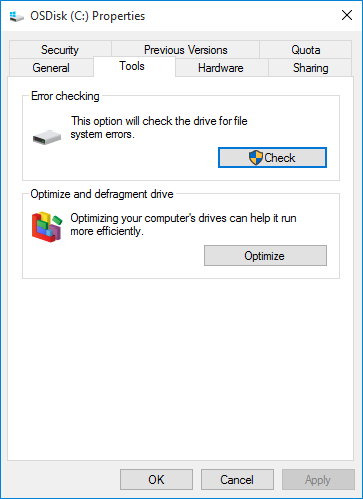 If the drive can be seen (accessed) by the computer but cannot be read (open file system), I would try to check the file system of the drive. I assume the drive is using a DOS or NTFS file system (this is the standard file system for Windows). Open Start-menu and click on Computer. Right-click the drive that you want to check and click Properties. In the Tools-tab, under Error checking, click Check now. Enter administrator password. Secondly, if the drive cannot be seen at all, maybe the electronics in the cabinet is broken but the drive is OK. Contact helpdesk@bmc.uu.se to get help. You can do this yourself too. 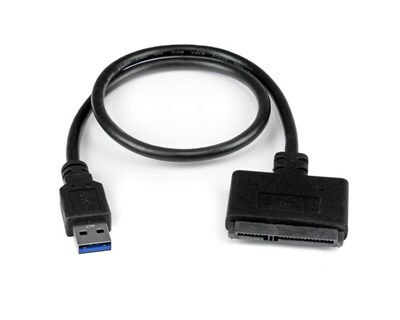 Send a mail to helpdesk@bmc.uu.se and ask for a spare SATA-USB-adapter if you do not have one. The internal SATA-port and SATA-power in a PC might work too (only connect when the computer is turned off). Open the USB-drive cabinet and remove the drive. Insert the drive into the SATA-USB-adapter and connect the USB to the computer. Open file system and read your files. If the drive has bad blocks and is generally messed up, reading the blocks one by one may help. Run Linux on a computer. Contact helpdesk@bmc.uu.se to get help if you cannot do this yourself. Use the tool ddrescue to create a block image of the drive. Also HDD Raw Copy Tool may be used to take a complete copy of the device. Take the file and write it to a disk or virtual device. (A copy of the file). Try to read the file system in Windows and perhaps check the file system. The tool TestDisk (read about TestDisk on Wikipedia) can be useful for partition recovery and deleted files recovery. Some USB-drives with transient errors may not work in Linux or Mac but work in Windows. And where File Explorer in Windows times out and is amost unusable, RoboCopy may prevail. Here is an example copying files from the D: drive into another directory, retrying a copyple of times and excluding the recycle bin. robocopy d:\. c:\recover\. /E /R:10 /W:1 /XD "$RECYCLE.BIN"
Send it to a company that can rescue broken drives by for example changing the electronics from another identical drive. This does cost a lot of money. IBAS is one of them. If the drive plate is confetti even these companies cannot help you.